Heat wave got a hold of you? No need for raw foodies to sacrifice the cooling effects of frozen dessert on a hot summer’s day. People often ask me if I ever miss out on anything being a vegan, and the answer is unequivocally and emphatically, “NO!” There are natural, healthier alternatives for just about every animal-derived product these days, I’m happy to say. 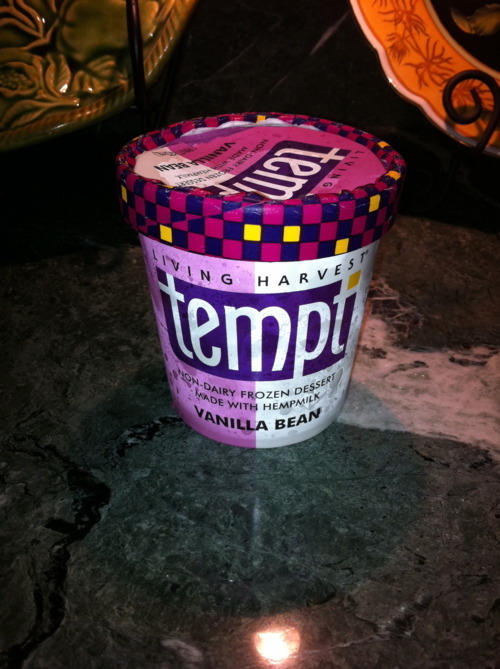 Living Harvest’s Tempt “Ice Cream” is my absolute favorite summer-time indulgence. It is a non-dairy, frozen dessert made from hemp milk. I’ve tried nearly all of the different types of vegan frozen desserts on the market (yes, I have a bit of a sweet tooth), and tempt is by far the best IMHO. I used to love the So Delicious dairy-free ice cream, but I’ve tried minimizing my soy intake since soybean started getting a bad rap…that’s a whole other discussion however. 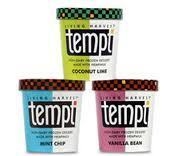 My favorite tempt flavor is Vanilla Bean (highly, HIGHLY recommended), albeit they have a variety of flavors (including Coconut Lime for the more exotic epicureans). 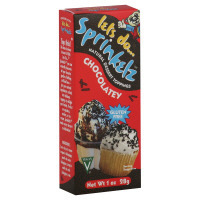 Tip: I like to add chocolate sprinkles on top! (the Edward & Sons “Let’s Do” brand has a version made from all natural ingredients). There you have it. Of course you could always just whip up your own frozen treat in a blender (as I’m sure all purist raw foodies would do)…but that will have to be an entry for another time!